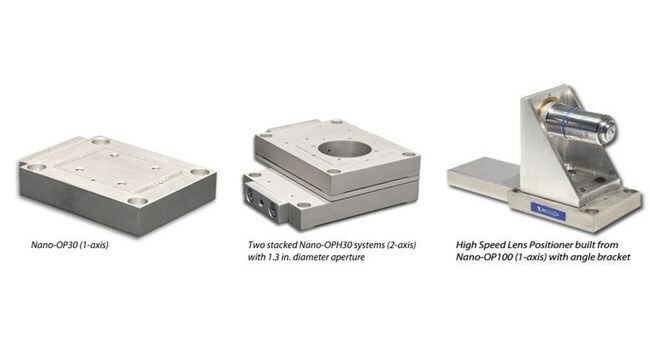 This family of high-speed nanopositioners is comprised of three separate models with 30, 60, and 100µm ranges of motion. They can be configured into a wide variety of applications involving interferometry, nanomanipulation, high-speed lens focusing, fiber optics, and NSOM. The Nano-OP series of nanopositioners are stackable for applications that call for multi-axis motion. They feature closed loop control and also benefit from picoQ technology-based sensors for absolute, repeatable position measurement with picometer resolution. Download the datasheet for information on their technical specifications, potential configurations, and dimensions.